A VIEW FROM THE HILLSIDE SET THE STAGE FOR THE ORGANIZATION OF SPACES. 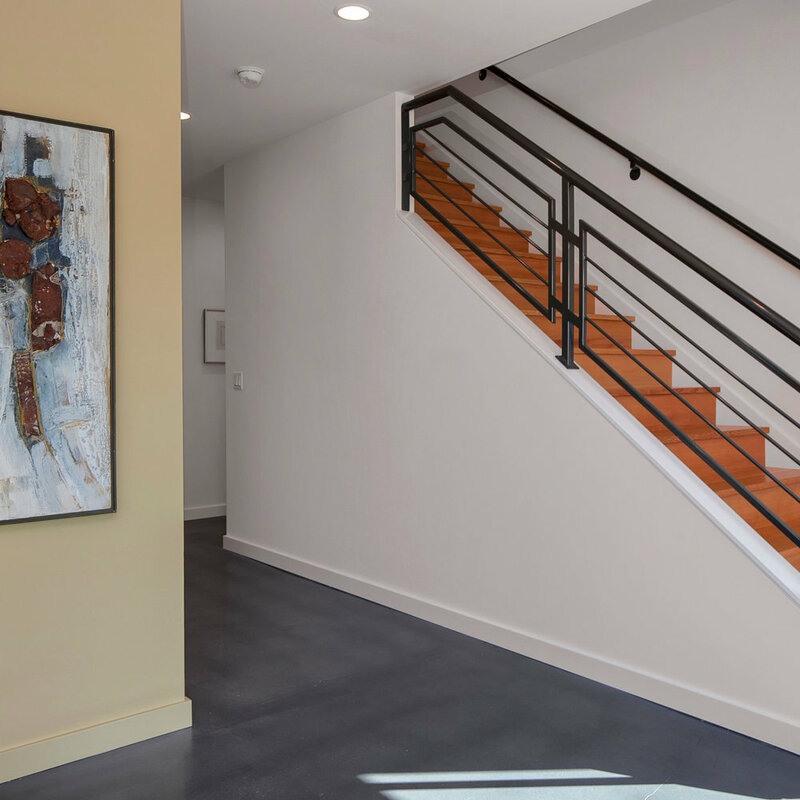 Space captured on the terraced garage of this three story home facilitates indoor/outdoor communication with the open first floor, expanding the livable square footage. 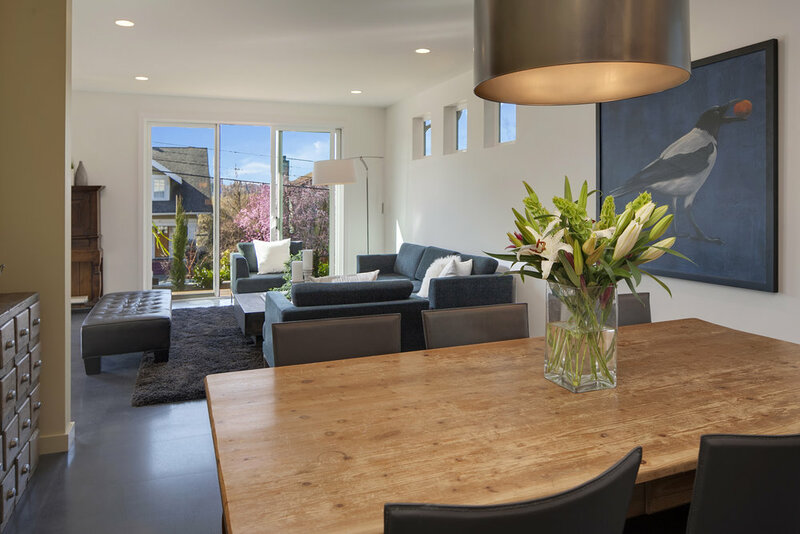 Interior finishes are functional but minimal, highlighting art and furniture instead. 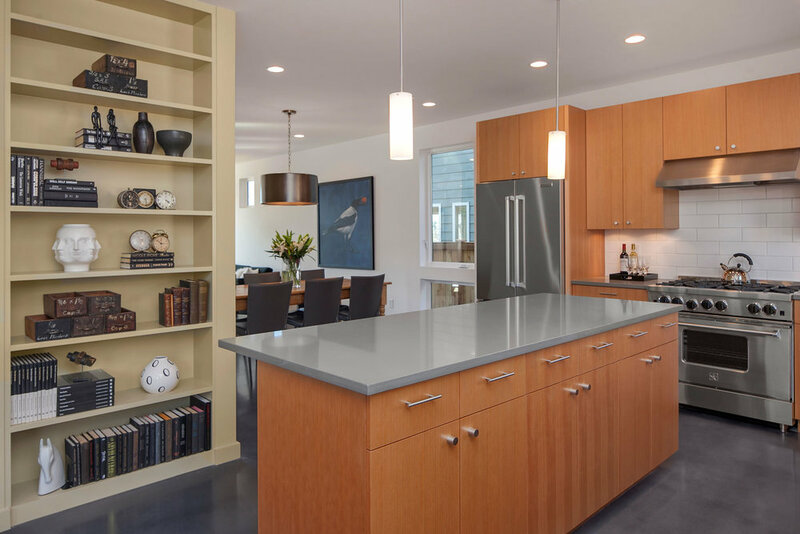 Details in local materials like douglas fir add warmth to modern spaces.